← STP’s ‘Funding Finder’ bulletin out – with deadlines! What is your favourite conservation area? Civic Voice seeks nominations – closing 18 Sept! You only have until 18 September to nominate your favourite conservation area, as part of the Civic Voice ‘England’s Favourite Conservation Area’ award! Civic Voice has launched a national campaign to find the England’s Favourite Conservation Area, as voted by the public. The campaigns coincide with the anniversary of the Civic Amenities Act which first established conservation areas in 1967. Civic Voice – the national authoritative voice for the civic movement – has today called for civic societies, conservation groups and local councils to nominate their favourite conservation area to help find England’s Favourite Conservation Area. This unique award is open to all conservation areas across England through a simple online nomination. 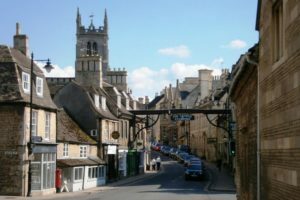 Conservation areas were introduced in response to widespread public concern over the pace of redevelopment in Britain’s historic towns and cities. A conservation area is typically designated for part or all a village or urban area which has particular architectural or historic interest. It is recognised by this designation that conservation areas have a special character and appearance worthy of protection and enhancement. Laura Sandys, Vice-president of Civic Voice (who had the idea for the campaign) said; ‘We have over 10,000 conservation areas in England which reflect the rich built heritage of the nation. Recognising the England’s Favourite Conservation Area is a way of revaluing our heritage and recognising the benefits conservation areas bring to making our towns unique and special. As well as encouraging people to nominate and vote, we want to raise awareness of the importance of our conservation areas and call on more communities to celebrate our rich and varied heritage’. The deadline for applications is 18th September and the shortlist will be announced on 28th September to coincide with the anniversary of Kesteven County Council – the planning authority at the time – designating Stamford’s historic core as a Conservation Area, the first in the country. A shortlist will be compiled by a special panel of judges, chaired by Laura Sandys.